Stage director – Dieter Dorn. 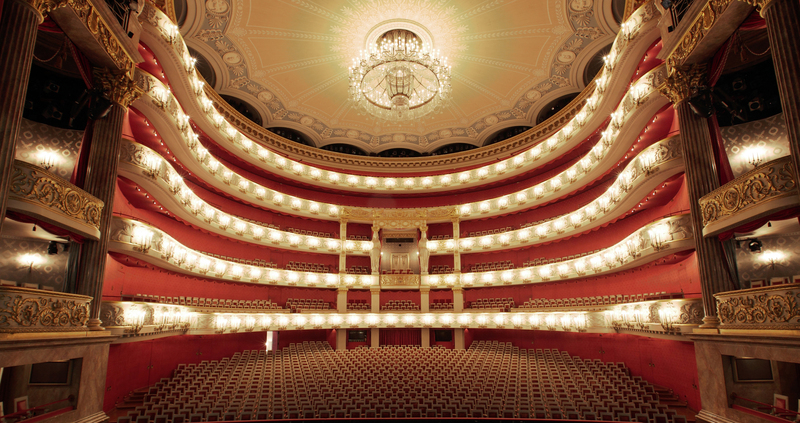 Bayerische Staatsoper, Nationaltheater, Munich, Germany. Saturday, December 1st, 2018. The Bayerische Staatsoper does not usually make photographs available of repertoire evenings such as this. Apologies for the lack of photos with this review. There has been a fair amount of metaphorical water under the bridge since Dieter Dorn’s 1993 staging of Così fan tutte was premiered. Society has changed with an awareness of the #metoo movement, technology in the theatre has developed, and of course, we have an even more profound understanding of period style in the performance of Mozart than was the case 26 years ago. Ultimately though, a good staging will always be a good staging, and with such a strong, youthful cast as we had tonight, Dorn’s vision of the work was most convincing. There was so much positive energy on the stage of the Nationaltheater, the sign of a cast who genuinely enjoyed working with each other and who gave us a performance that was so much more than a routine repertoire evening. Dorn’s staging was alive to the work’s complicated realities. He brought out the class relations inherent in the piece – the way that the sisters looked down on Despina was most vivid. There was also an ambiguity to the relations between men and women that was most appropriate. One never knew if the sisters were aware throughout of the game their lovers were playing – particularly as Dorabella quite enthusiastically went for Guglielmo and, when Fiordiligi finally succumbed to Ferrando’s advances, she clearly saw it was him, without the disguise. At the core of Dorn’s staging is a complex psychological game, one that will never leave those involved the same again. In so doing, he makes this a profoundly human experience, bringing out those complicated emotions within, and rightly places ‘per pietà’ as the work’s emotional core. Yet, there’s an egalitarianism to his vision that makes the work not so much ‘così fan tutte’, but truly ‘così fan tutti’. Nobody is perfect and through this imperfection Dorn amplifies the profound humanity of Mozart’s music. Visually, the production resembles Dorn’s recently-retired Figaro, all clean lines and eighteenth-century costumes. If there was a downside, it was that there was some stage business that held up the action at times – characters running after each other, for instance. It was noticeable also due to the pacing of the recitatives and Ivor Bolton’s somewhat laid-back tempi. There was a leanness and athleticism to the orchestral textures, but it struck me that Bolton was pacing the evening as a marathon, whereas there were times where I wish he’d paced it as more of a sprint. The orchestra played superbly for him, phrasing the music with love and affection. The lean, vibrato-less strings played with pristine intonation all night, and the winds were nicely forward in the texture. The brass (on modern instruments) was nicely raspy and the hard sticks on the timpani provided a strong rhythmic foundation that was irresistible. Bolton conjured up the soft breezes of ‘soave sia il vento’, with the voices deliciously intertwining above. Ornamentation was used occasionally, and where it was used, it genuinely enhanced the line and made the music live even more. Vocally, it was most satisfactory, even if it took the cast a little while to warm up. The text was absolutely clear throughout, creating a performance that truly lived. Federica Lombardi brought a delightful peaches and cream soprano to Fiordiligi. Her ‘per pietà’ was glorious – finding a depth of feeling through her judicious ornamentation, making every variation an even deeper expression of feeling. It was sung with poise and generosity, the horns were well behaved and the clarinets brought so much character to the orchestral line. Elsewhere, the voice had a tendency to not sit quite on the note, the intonation tending to sag. It’s a notable instrument, full and rounded and ideal for this repertoire. Angela Brower’s Dorabella was always well sung in an easy line and evenness throughout the range. I did find her singing well-schooled but somewhat unmemorable initially – despite the clarity of the words, I longed for her to use those Italian vowels to really colour the text, as well as for her to ornament the line with more freedom. That said, when she got to ‘è amore un ladroncello’, something happened. The line was ornamented with fluency and her singing took on an individuality that I felt lacking earlier in the evening. Tara Erraught was a knock out Despina, singing with bright, full tone, an easy top and judicious ornamentation. She has a magnetic stage presence, emerging for her first recit, grabbing the stage and holding it. Her comic timing is formidable and her sunny mezzo was wonderfully healthy. Paolo Bordogna brought his rustic baritone to Alfonso. As with Erraught, he had excellent comic timing and his native diction meant that his singing gained impact due to the clarity of the text. Sean Michael Plumb was a very fine Guglielmo. The voice full of youthful sheen, sung off the text, in a warm, handsome baritone. He pulled out a lovely legato in ‘il core vi dono’ and his ‘donne mie’ was sung with wit, charm as well as frustration brought out through the words. I did wonder whether Paolo Fanale was suffering from an unannounced indisposition. The voice is a pleasant light, lyric tenor but as soon as he put pressure on the tone it became tight and raw. The top also sounded somewhat disconnected from the rest of the voice, the support not quite lined up. The clarity that he brought to his use of text gave pleasure. This was so much more that a repertoire evening at the house. It was a living, breathing ensemble performance by a cast who gave such believable and youthful incarnations of their roles. It was more than satisfactorily sung, always living through the text. This was very much a human performance. Dorn’s staging took us on a journey where we felt happiness and also profound sadness. Above all, it was uplifting. Uplifting because, for those few hours, we got to feel the humanity at the core of this work – that imperfect, irrational humanity that lives through Mozart’s glorious music. A most satisfying evening.